Junge Fotografie International: Invited as a jury member to Berlin! Invited as a jury member to Berlin! 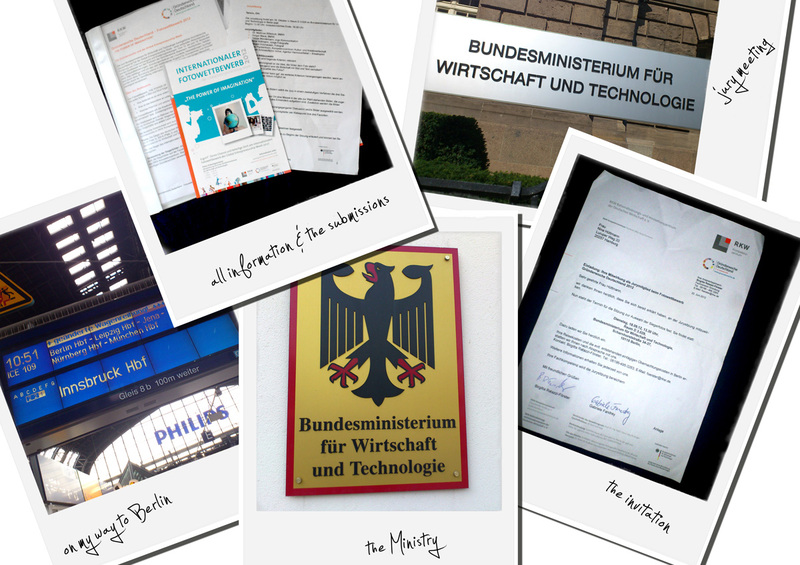 As part of the "Gründerwoche Deutschland" conducted by the German Federal Ministry of Economics and Technology there was again a photo contest this year, that is part of the "Global Entrepreneurship Week" (a global week of action for the promotion of entrepreneurship and business start-up) which takes place from the 12th to the 18th of November 2012. The German preliminary round, which winning entries automatically participate in the international competition (organized by the University of Wismar), was conducted by the RKW Kompetenz Zentrum. The goal was to show in the photos and a brief accompanying text , what challenges and opportunities are part of entrepreneurial ideas. Young people aged 14 to 30 years from all over the world were able to participate. The jury - session to dfind the Germans winner-photos took place of the 18th of September 2012 at the German Federal Ministry of Economics and Technology in Berlin, to which I (Nina Hüttmann - Junge Fotografie) was officially invited as a jury-member. 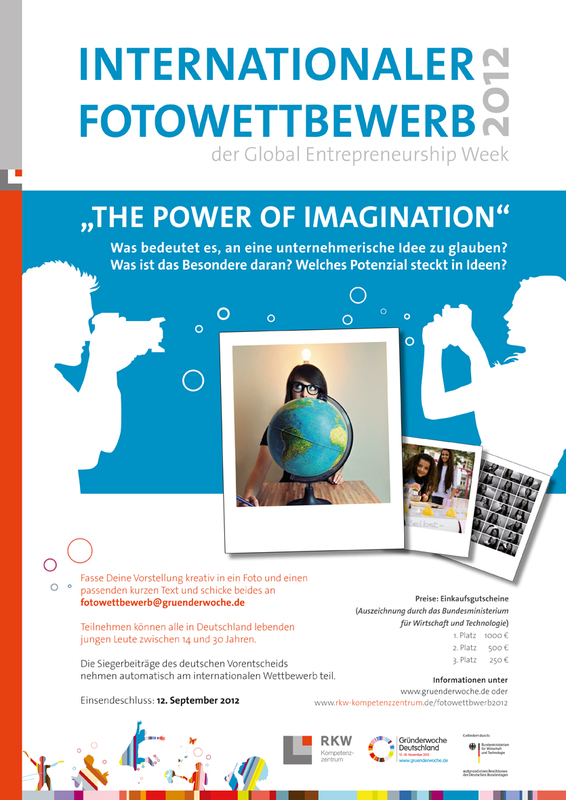 The winners will be announced at the "Global Entrepreneurship Week", and receive their prizes, which are gift vouchers (1000, - € 500, - and € 250, - € in the German national final) and cameras (of different price categories in the international competition). I wish all participants the best of luck and sincerely congratulate the winners! --> More about the awards show HERE!